So why are the youth of Jammu and Kashmir chanting, ‘Hum kya chaahte? Azadi!’ Kashmiri youth are well-informed, including through social media, of their constitutional rights and privileges as well as the government’s social delivery systems. They are aware that in a democratic society like India, people do not have to constantly live in fear of draconian laws like the Armed Forces Special Powers Act (AFS­PA) and Public Safety Act (PSA), which give unlimited powers to security forces and have led to umpteen cases of rights violations in the Valley. The promises to Kashmiris have been belied. Leaders said people’s aspirations would be fulfilled within the framework of “insaniyat and Kashmiriyat”; that the state would be given the desired political autonomy, for which “the sky is the limit”; and that, vis-a-vis Pakistan, int­erna­tional borders will be made irr­elevant. Lack of satisfactory progress on this has caused a new ali­enation. Through the 2008-10 protests to now, it has spurred support for militancy on a scale and int­en­sity last seen in the ’90s. Maybe a window was opened with the present BJP-PDP alliance—though it was a post-election tie-up, it had the capacity to blend the arc of local aspirations with the promise of development and good governance. On his three visits to the state, Prime Minister Narendra Modi had promised to address the problems caused by the recent floods and the prolonged militancy. They expected the Centre would apply the healing touch. The outcomes are however disappointing. In the last decade, a number of task forces have been constituted to recommend confidence-building mea­sures. New Delhi-appointed interlocutors submitted a report titled ‘A New Compact with the People of J&K’ in 2011. The Centre launched at least three program­mes: i) Special scholarship scheme for post-secondary education ii) Udaan for on-the-job training and placement iii) Himayat, for promoting self-employment. Unfortunately, the Centre and the state governments have not implemented the recommendations in letter and spirit, which is why the youth vent their anger in whatever forms that are available to them. The youth are frustrated due to the lack of empowerment and opp­ortunity. Sabka saath, sabka vikas is a distant idea. Kashmiris would have liked their governments to provide economic and social security by neutralising internal or external disturbances. Since Indepen­de­nce, they have suffered due to wars and militancy in the region. The state’s territory has been used as a battlefield by two nuclear countries. Such objectives should not be pursued at human cost—that too to people who live in allegiance to the Indian state. Modi has righty said that all political differences can be resolved through an active engagement of the stakeholders in a meaningful dialogue. Both India and Pakistan should therefore resolve to adhere to the principle of maintaining and promoting the process of uninterrupted and uninterruptible dialogue between the two countries. If it does not happen, as the experience of last two years shows, the Indian state would be responsible for the breach of trust posed in it by the Kashmiri when he chose India to live with rather than Pakistan. 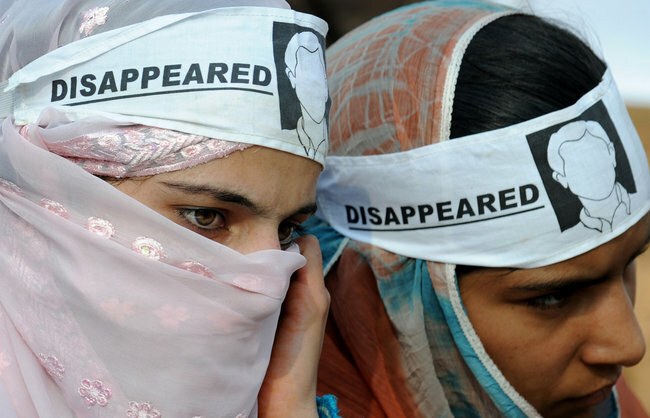 Eight reasons why the Kashmir Valley is burning. Still.